WHO IS IN AND WHO IS OUT OF NZOIA TIE? 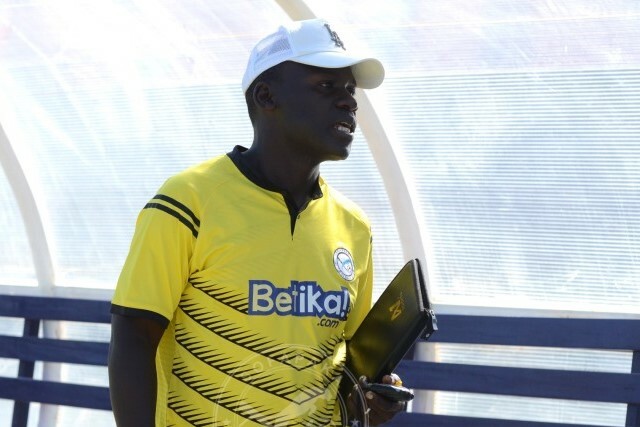 Coach John Baraza has delivered an update on who is fit and who is not for Thursday afternoon’s clash against Nzoia Sugar at the Kenyatta Stadium in Machakos. Midfielder Dennis Odhiambo who limped off after 13 minutes in last weekend’s 2-0 win over Kariobangi Sharks will not be available as he has not recovered from the knock on his knee. He will be assessed and possibly considered for the match against Mathare United on Monday. Elli Asieche who came on for him in that tie will not be available for the Nzoia game tomorrow as he is recovering from a bout of malaria. Sofapaka and Nzoia lie side by side in the standings at sixth and seventh with 17 points each. It has been evenly matched between these two sides in the last four league meetings. Last season, Nzoia won the first leg 1-0 before Sofapaka forced a 2-2 draw in Sudi in the return leg. In 2017, the first leg ended 1-1 in Sudi before Sofapaka won the return fixture 3-1. One of Sofapaka’s former players Morven Otinya will be up against his former employers.